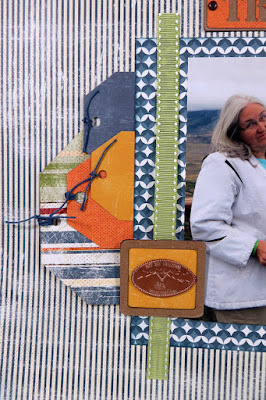 Blog Quick Quotes: Traveling with Susie and June Club Q! 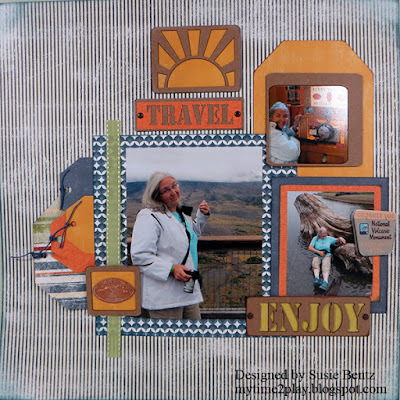 Traveling with Susie and June Club Q! Hello and welcome! Susie here today sharing another layout I created using the June Club Q kit! It is just packed with fabulous chipoard shapes and words that will work perfectly with your travel and vacation projects! These pictures are from a visit we made to Mount St Helen's last summer. It was a beautiful day but the view of the top was obscured by cloud cover. No matter! 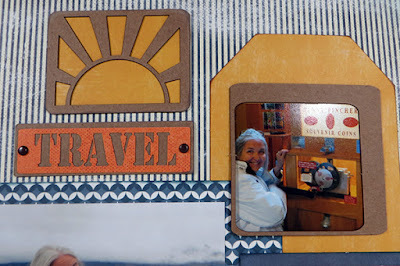 I started the layout with this chipboard sunburst - like the one I wish had been shining a little brighter during my visit! 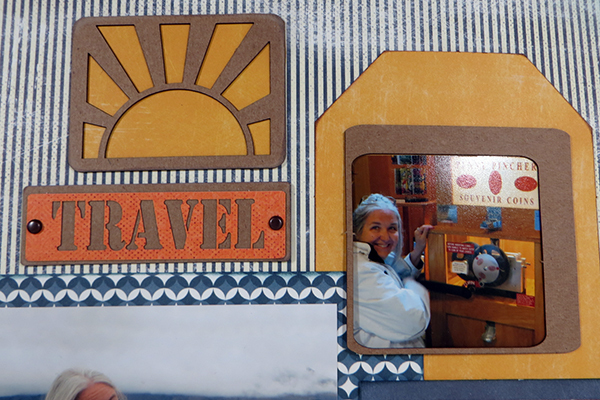 I backed it with some beautiful yellow paper from the kit and stacked it on top of the "Travel" embellishment. 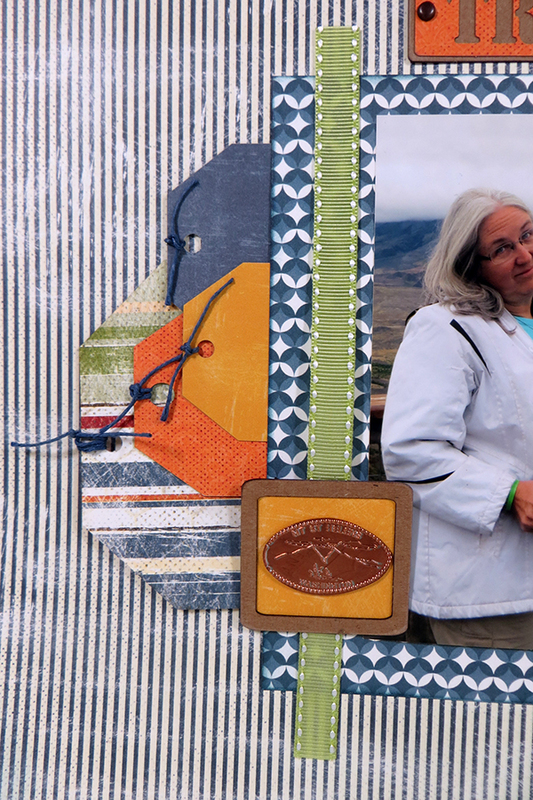 I used a pre-cut yellow tag from the kit as a backdrop to this picture of me in front of the penny pincher machine. It fit perfectly inside the little chipboard frame! 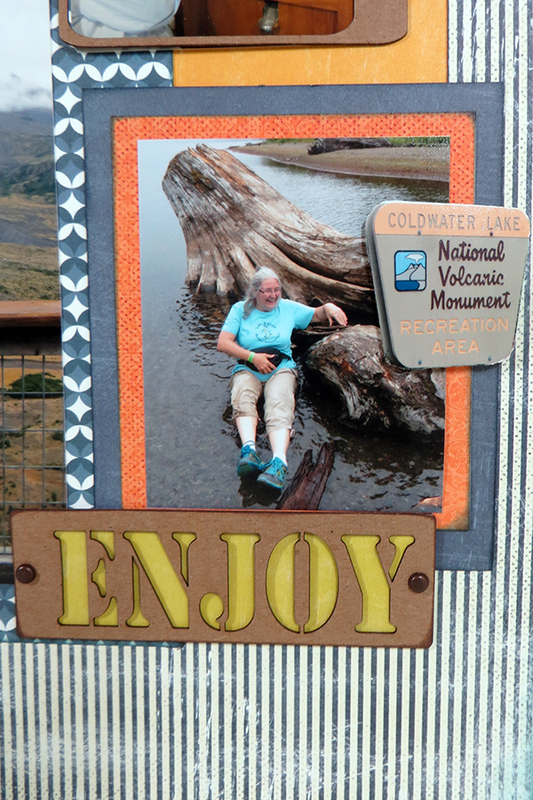 The main photo got dressed up with a ribbon and another mini chipboard frame...holding my Mount St. Helen's penny! All those beautiful tags are the perfect place for some hidden journaling and extra pictures - plus they are also just a great design element! No I am not going to share the details, but I did end up in a lake and I just decided to "Enjoy" the memory! I loved, loved , loved playing with the June Club Q Kit this month! The patterns and colors of the paper are so versatile and chipboard pieces are just fun! This is a wonderful layout! I love it!